A POPULAR Chesterfield pub has launched a significant expansion to its offering with the opening of six high-end bed and breakfast rooms, thanks to funding from Enterprise Loans East Midlands. 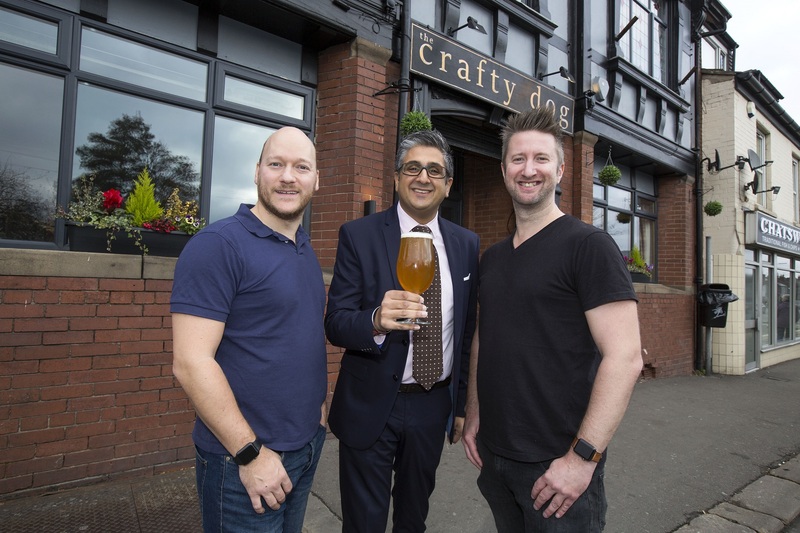 Long-time friends Andrew Watterson and Neil Turner, both born and raised in Chesterfield, developed the idea for The Crafty Dog after more than two decades of experience in the licence trade and identifying a gap in the market for a craft beer-led venue in the North Derbyshire area. Boasting one of the largest collections of craft beer outside of London with more than 30 brews available, the pub in Chatsworth Road compliments its wet-led offering with classic bar snacks, including burgers and sharing platters, and newly-refurbished B&B rooms. “Neil and I have known each other for more than 25 years and met while we were at school together; we’re both local to Chesterfield and went to school in the stunning surrounds of the Peak District. Growing up, my dad owned and operated bars and pubs so I have always had some connection to the licence trade, as has Neil. ELEM provided £50,000 in funding from its Start Up Loans fund, which enabled Neil and Andy to renovate and refurbish the former Red Lion pub, including the six B&B rooms upstairs – designed to be adaptable for both double, twin and family use – as well as a further two bedrooms earmarked for completion in early 2019. “We were thrilled to support Andrew and Neil with the funds they needed to take The Crafty Dog to the next level. They are both incredibly experienced in their own fields and complement each other’s skillsets very well. “We’re really excited to launch our new bedrooms in time for the Christmas party season and we’re already having a number of enquiries about our availability over the festive period. We are now in the final stages of completing the multiple B&B rooms upstairs, ideal for overnight travellers and those looking for a relaxed pre-Christmas break. For more information on Enterprise Loans visit www.first-enterprise.co.uk or follow @1st_Enterprise on Twitter.